Makers of the film Gully Boy organized a grand music launch event in Mumbai on January 24, 2019. Ranveer Singh, Alia Bhatt and others were snapped at the launch event . The Bajirao Mastani star was at his energetic best as he interacted with the audience. 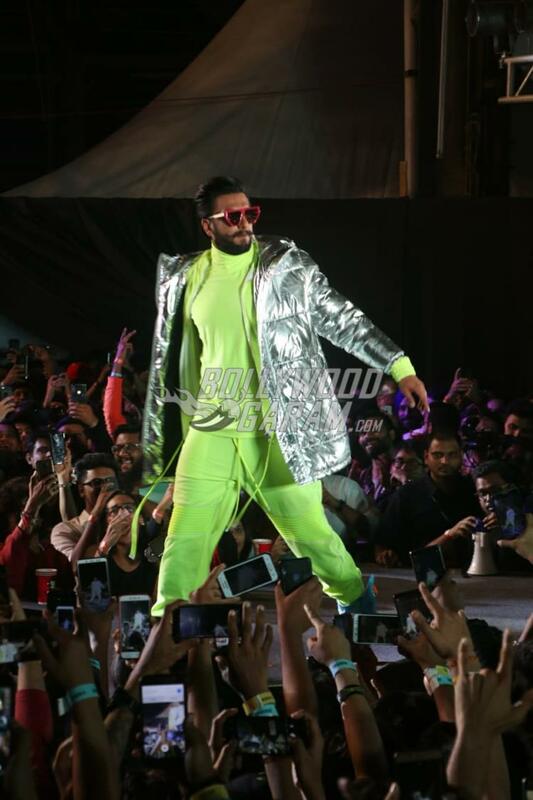 Ranveer was seen in a neon green outfit with a silver bright jacket while Alia was seen in a glittery green skirt and a colorful top. The lead actors made a rocking entry at the music launch event. 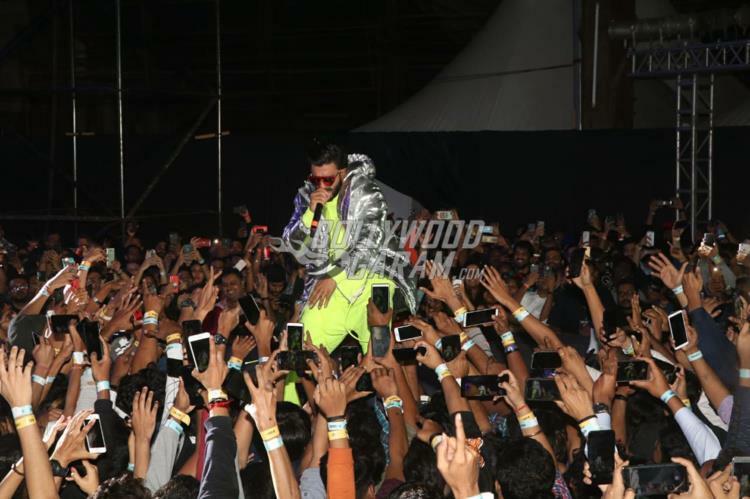 Ranveer was heard rapping to the music of the song Apna Time Ayega from the film. The official tracks of the film has been released and the music has created quite a stir among the listeners and the audience. The film Gully Boy is helmed by Zoya Akhtar and produced by Ritesh Sidhwani, Zoya Akhtar and Farhan Akhtar. It also stars Kalki Koechlin and will be premiered at the 69th Berlin International Film Festival. The story of the film is about an aspiring rapper who chases his dream to become popular. The film will be releasing in theatres on February 14, 2019. Next articleKriti Sanon and Kartik Aaryan starrer Luka Chuppi official trailer out now!